We adore the Colourful Creature illustrations of Dan Adams who, as you might have guessed, ended up here in Australia (having travelled from the UK). 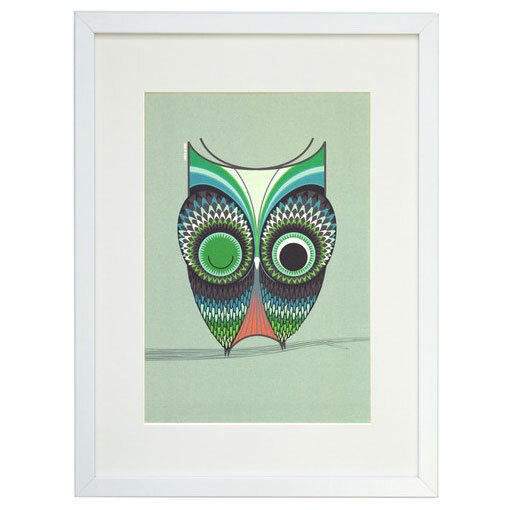 The wise owl design is patterned and playful and hoo knows what he might know... Only his winking eye gives him away! I Ended Up Here art prints are a wonderful choice for adults and children alike. This A4 original illustration has been digitally printed in Sydney, Australia, on a high quality textured stock. The artwork is presented flat on a heavy weight board and in a cellophane sleeve. Frame not included.